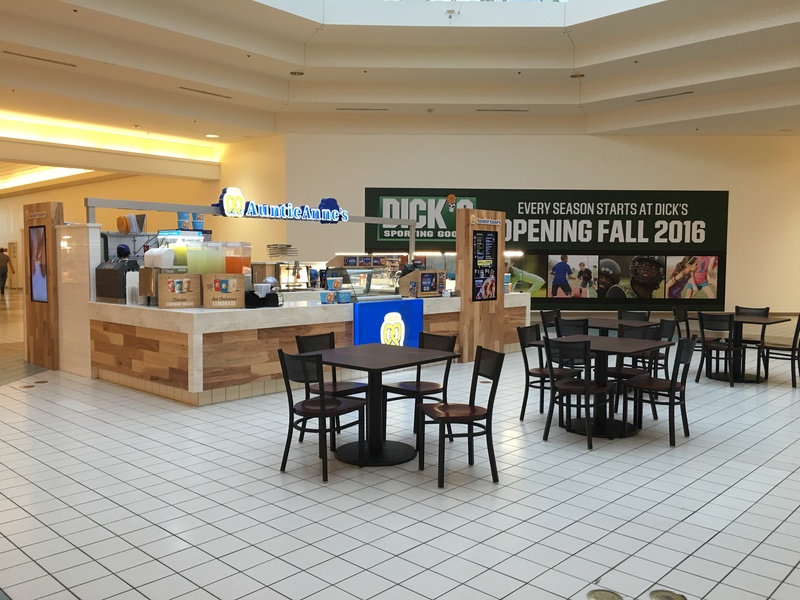 We are thrilled to welcome out newest location at the beautiful Greenville Mall in Greenville, NC. Be sure to visit us for a hot and fresh pretzel paired with a refreshing Iced Tea Lemonade! 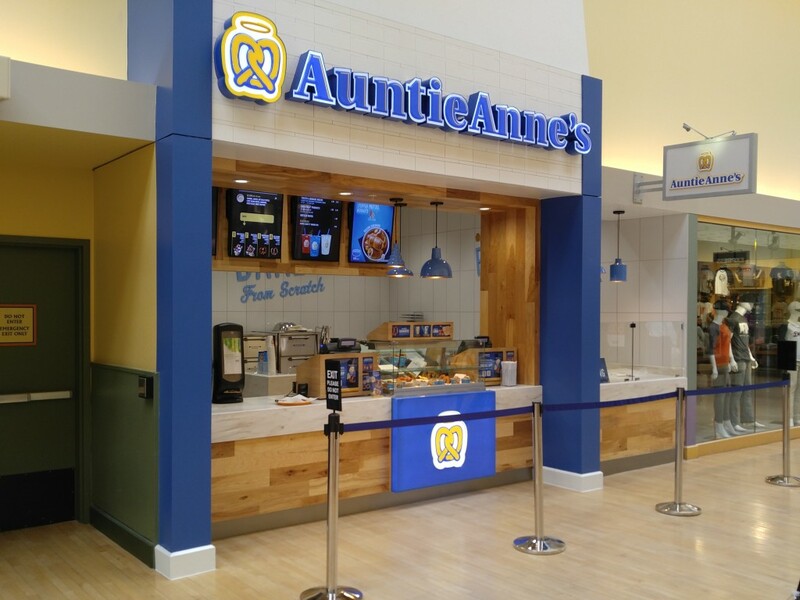 The Chestnut Land Company is proud to open our newest Auntie Anne's location at the Tanger Outlets Columbus in Sunbury, OH. This incredible new outdoor shopping complex features gorgeous shops, fantastic food, and of course, fresh out of the oven pretzels. Stop in and grab a snack as you stroll around the outlets, and cool off with a refreshing frozen lemonade during the summer months. We hope to see you soon! 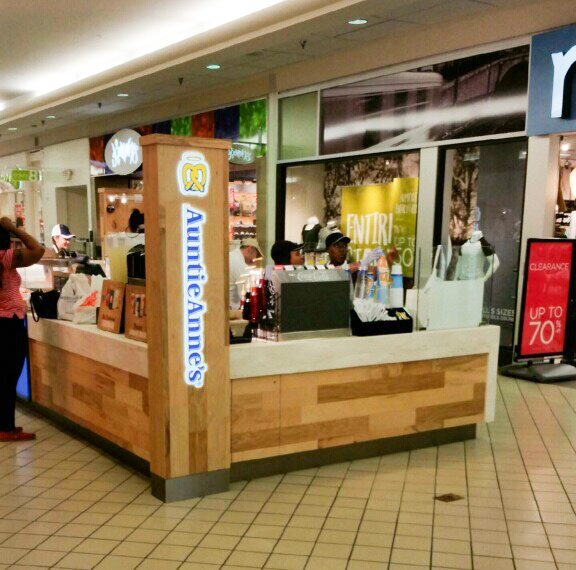 Our location at the Market Place Shopping Center in Champaign, IL has just received a beautiful remodel. Stop by for one of our freshly baked pretzels and an ice-cold drink to cool off this summer! Auntie Anne’s at Great Lakes Crossing Is Now Open! 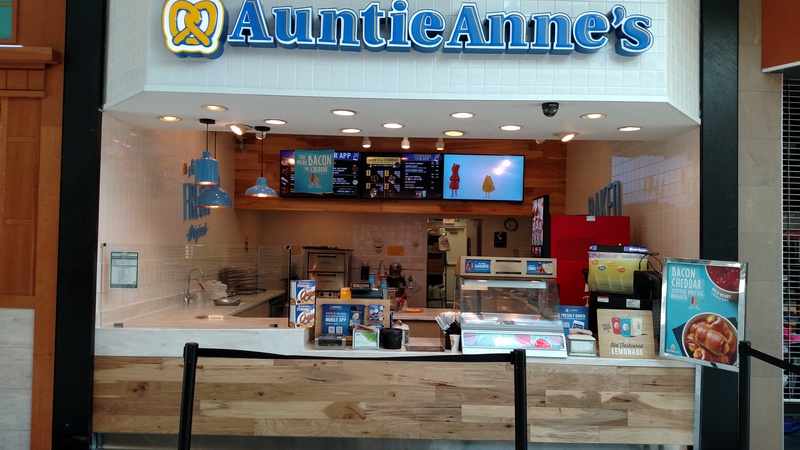 The Chestnutland Company has debuted it newest Auntie Annes location. 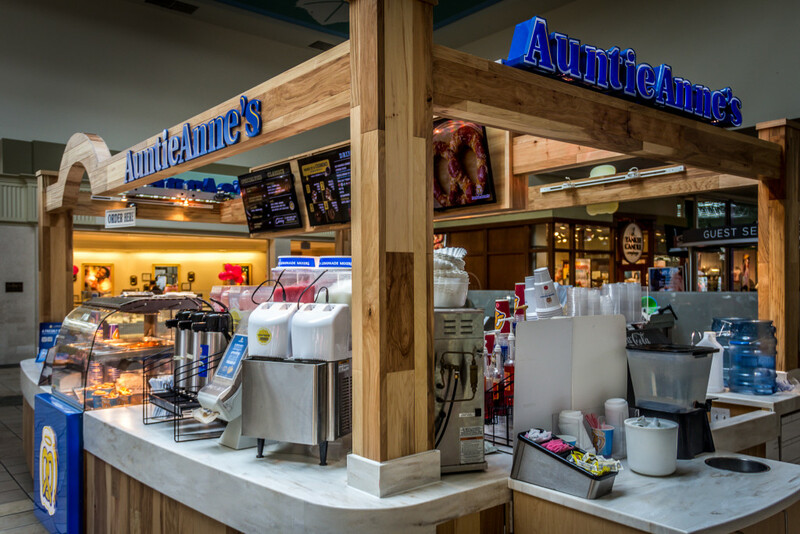 We are pleased to offer Auntie Anne's famous, fresh-baked pretzels at Great Lakes Crossing Outlets located in Auburn Hills, Michigan. 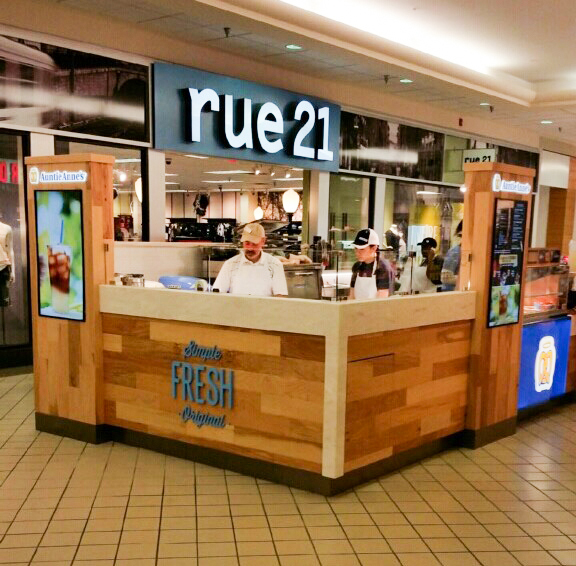 This beautiful, in-line location is ready to set you up with a fresh, warm pretzel and ice cold drink. They're perfect companions while exploring all of the premium shopping experience at Great Lakes Crossing. Stop by and say hi! 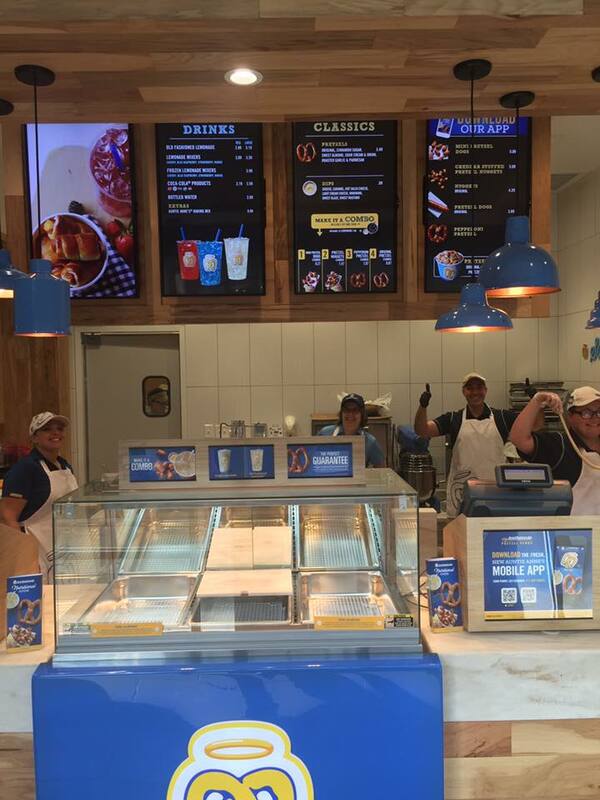 Our Boardman Store Gets a Remodel! 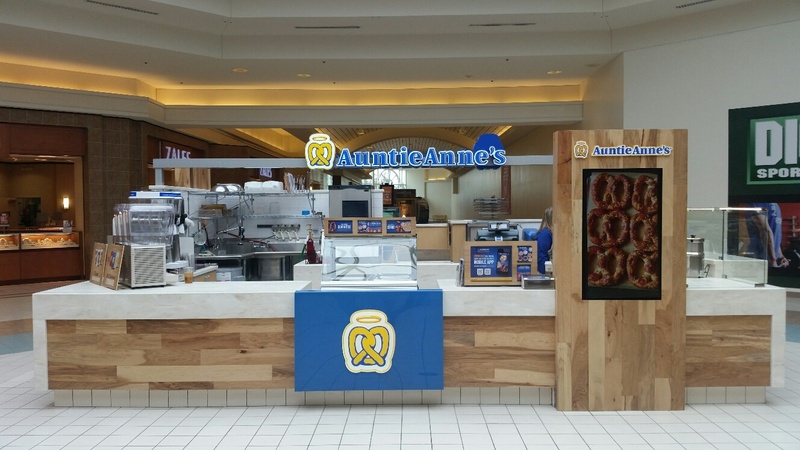 We've begun to remodel many of our existing Auntie Anne's Pretzels locations to a beautiful new design. Our latest remodel is a special one for the Chestnut Land Company. Our Boardman, OH location is just across the way from our home office, and it has been wonderfully redone. The new design features natural wood accents and fully digital display boards. Of course one thing that hasn't changed are our hot, fresh pretzels, ice cold drinks, and fantastic service! Chestnut Land Company is proud to announce our new location at the Dolphin Mall located in Miami, FL. Located across from DKNY, you can beat the Miami heat with an ice cold Lemonade. Or grab some Pretzel Nuggets while you shop! The Chestnutland Company is proud to reveal our newly remodeled location at the Grand Traverse Mall in Traverse City, MI. Warm wood paneling, and expanded seating area, and our friendly staff wait to welcome you while you enjoy your shopping experience at the Grand Traverse Mall. 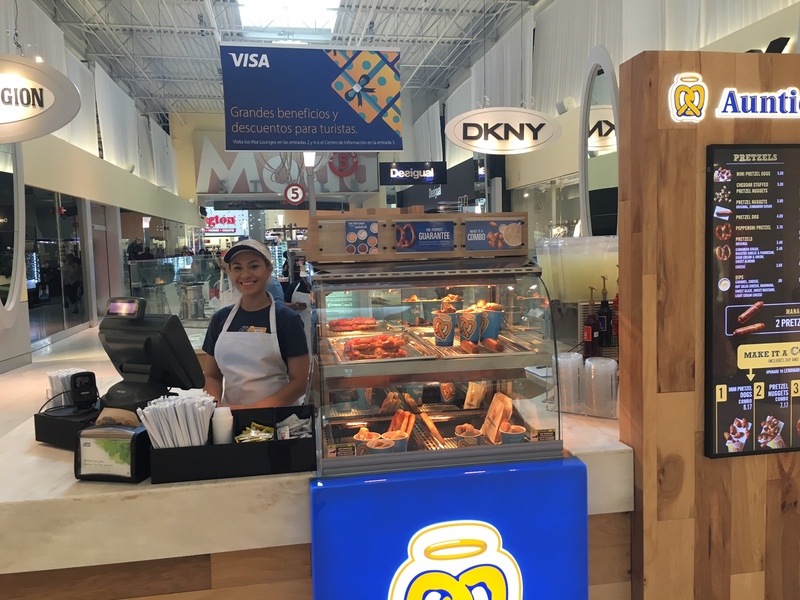 Stop by and enjoy a Pepperoni Pretzel with Marina Dip for a quick lunch or grab a cup of our refreshing, ice-cold lemonade to take with you around the mall!